In the present world, Constantly Smartphones company made the new design, model, stylist smartphone. Are you know what is the best smartphone on the market? Because Every company wants to increase their smartphone rankings. So that, this competition market every mobile device company wants to provide their smartphone users the best smartphone. . But these latest smartphones have some common problems, Sometimes we have to face this kind of problem. These problems are not enough battery charge, mobile phones hang, forgot user code, pattern lock etc. But when we wear this kind of problem, we do not think anything will go straight to the nearest of any mobile phone service center. Don’t worry, this is not a big trouble. Because, we provide you all kind of device hard reset, factory reset, password reset, unlocked phones solution at free of cost. If you try, you can do it at home. Ok, I will discuss with you How To Hard Reset/Factory Reset Xiaomi Redmi Note 3. Let’s see our easy methods and repair your smartphone at home without cost. 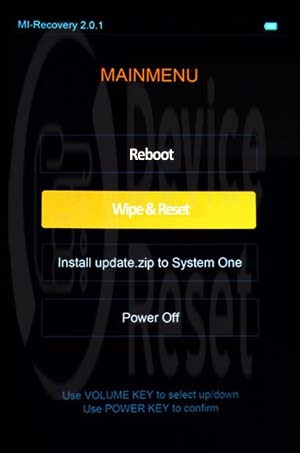 A soft reset is a very simple and easiest process to reset Xiaomi Redmi Note 3. If you use soft resetting method you won’t lost any data from your cell phone.This process doesn’t solve any major problem, but it helps to solve a minor problem. After complete shutdown remove the SIM card. Turn on Xiaomi Redmi Note 3 smartphone and touch the menu button and go to setting menu. When you failed process 1, process 2 then you can use process 3 I mean Hard reset using the button. Because this process has some risk. while you hard reset your smartphone you will lose all valuable data like image, video, contact number, document in your phone storage. So, before using hard reset backup all data on your PC. We are already showing you how to backup android data. Ok, let’s see the hard reset steps. 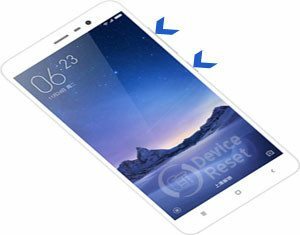 Turn off you new smartphone Xiaomi Redmi Note 3 and remove all SIM card. Now insert battery and press VOL UP BUTTON and POWER BUTTON. When you can see on your mobile phone screen MI logo then release all hold key. Now you can get language menu and use VOL DOWN Key and select language English, then press POWER KEY to confirm. After few second you will get MI Recovery mode, then select “Wipe & Reset” using VOL DOWN Key and press POWER KEY to confirm. Again use VOL DOWN and select “Wipe All Data” and press POWER KEY to confirm. 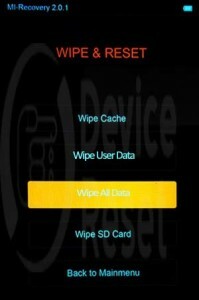 Wait until complete few second your wipe data reset is complete and then select reboot and press POWER KEY to confirm. Again press POWER KEY to confirm. Now your phone device will be rebooted and your phone problem is resolve.